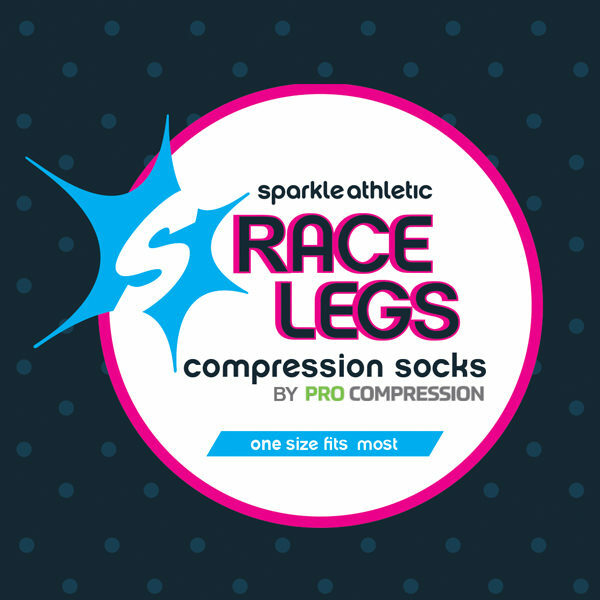 Sparkle Athletic’s Race Legs Compression Socks (made exclusively by PRO Compression) are the perfect way to get an edge & gussy up any running outfit. The best part? They’re compression! 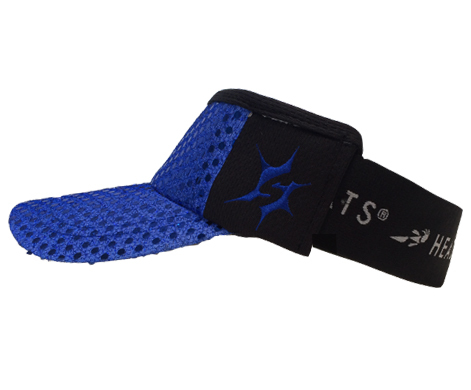 The increased vascular efficiency means increased performance, faster recovery, and long-lasting comfort for you. 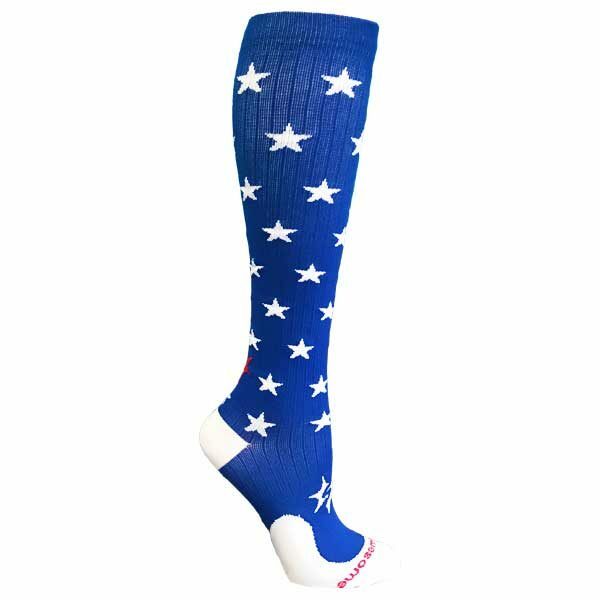 Details: Made by PRO Compression exclusively for Sparkle Athletic, our Race Legs Compression Socks are proudly made in the USA from 93% nylon and 7% spandex blend. 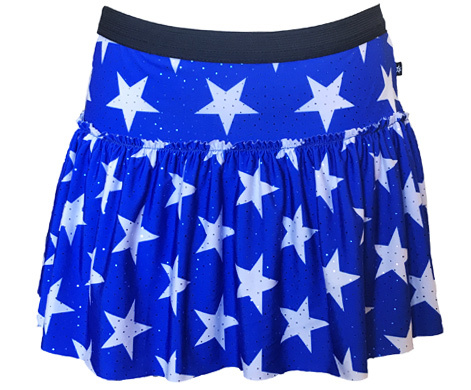 Made from true graduated compression which increases blood flow for better performance, faster recovery, and long-lasting comfort for you. 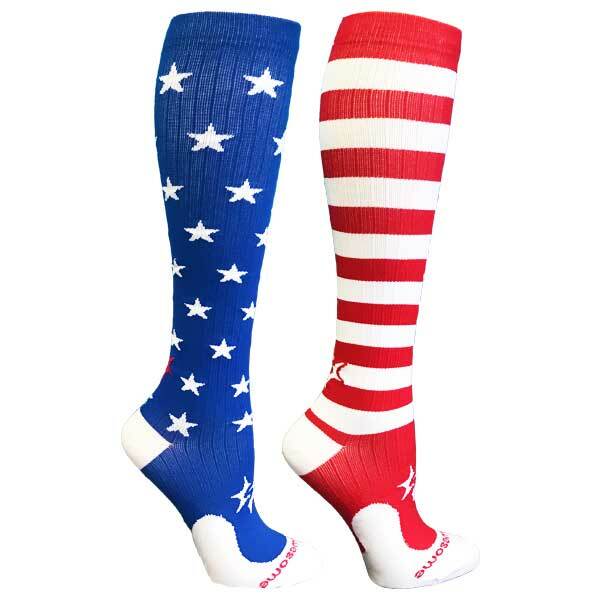 They are sold as a pair (you need one for each leg silly). 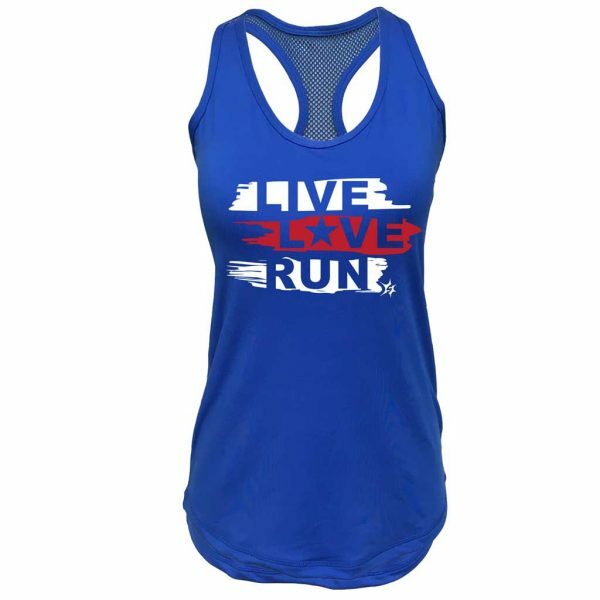 Sizing: Fits women shoe sizes 6-10. One size fits most.